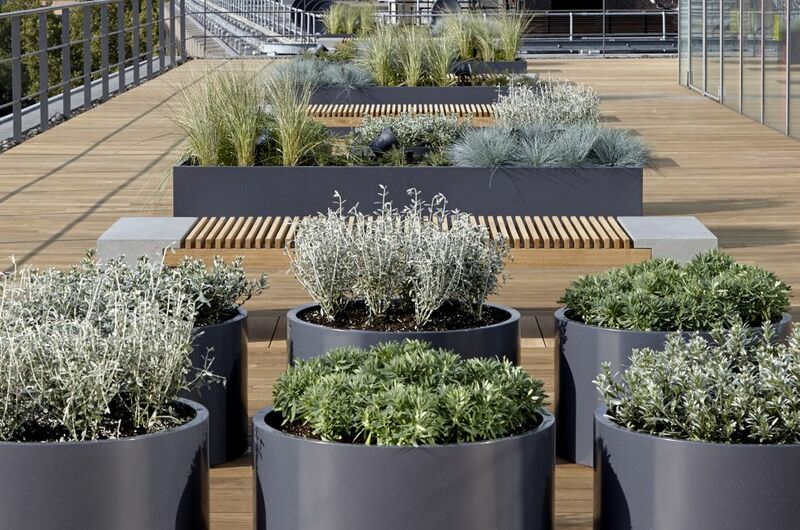 Bespoke powder coated steel planters were commissioned for the refurbishment of Grade A offices in central London for Warner Bros. 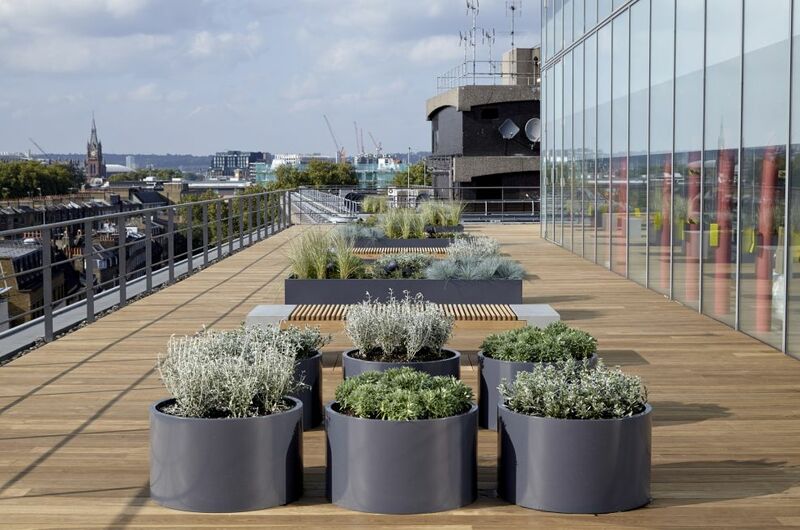 The planters are used within the completely redesigned 6th floor roof terrace adjoining the Warner Bros. offices at 200 Grays Inn Road, London WC1. The metal planters comprise 6 nr. 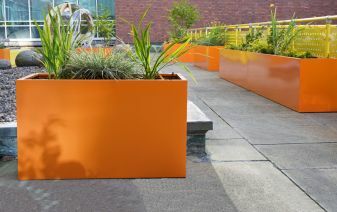 steel trough planters L 2490 x W 825 x H 550mm and 9 nr. seamless circular planters Dia 750 x H 440mm. 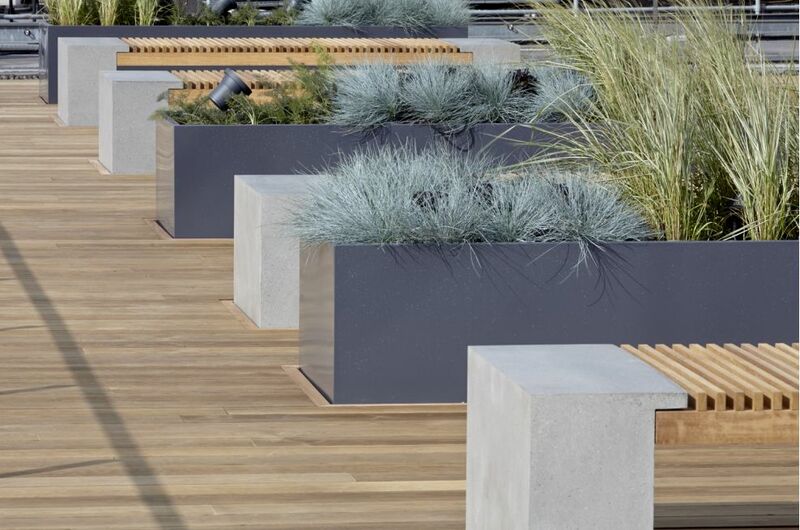 All planters are made from Zintec steel, polyester powder coated to RAL 7024 [Graphite grey]. 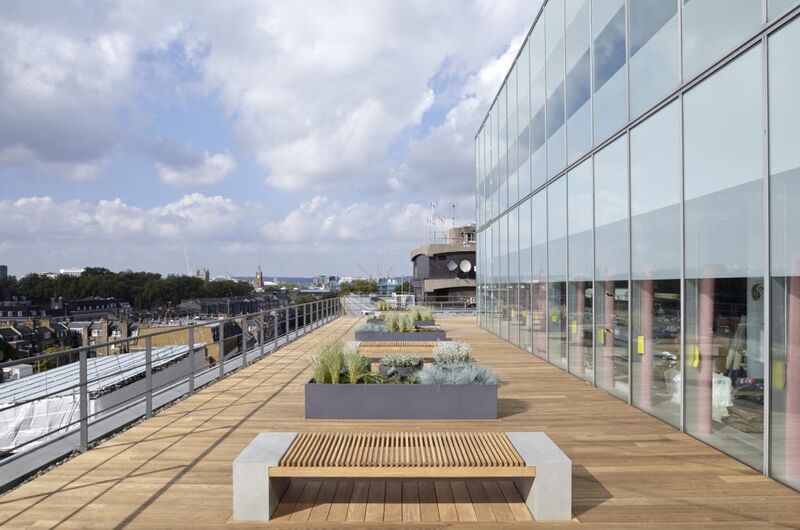 The office and terrace refurbishment for Warner Bros. was designed by architects IMA, and completed by office fit out specialists Overbury. 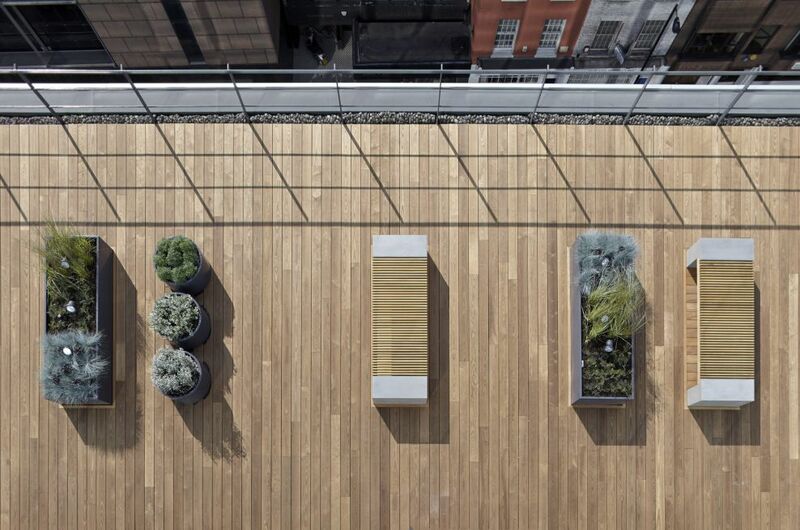 The terrace planting design was by Del Buono Gazerwitz, and the planting was installed by Plants for London. 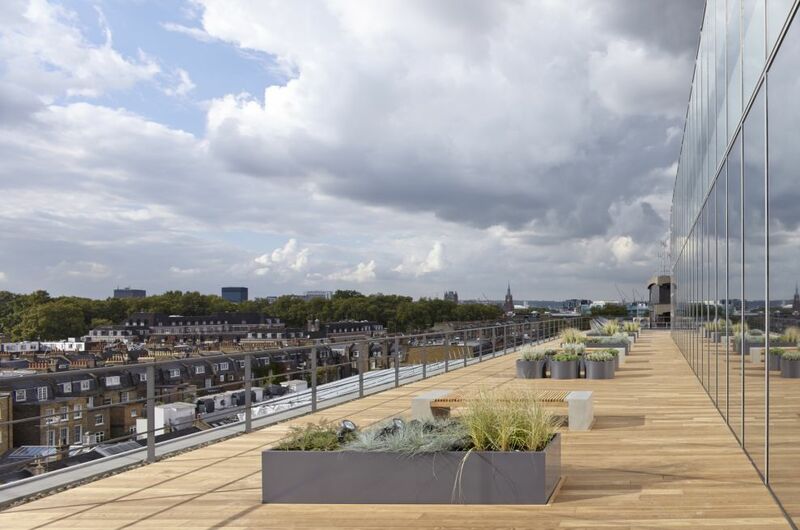 The bespoke benches on the terrace were manufactured by Joe Mellows Furniture, to a design by IMA. 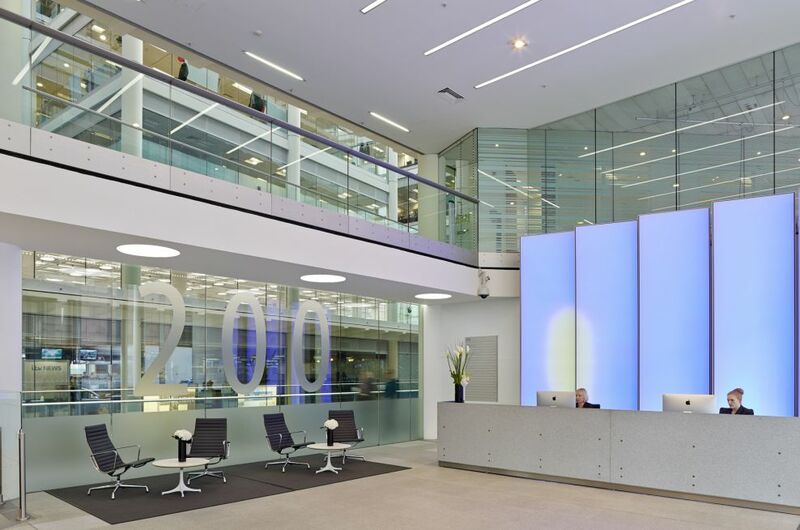 Designed by architects Foster and Partners, 200 Grays Inn Road is an iconic property built in 1990 by ITN as its headquarters and broadcasting hub. 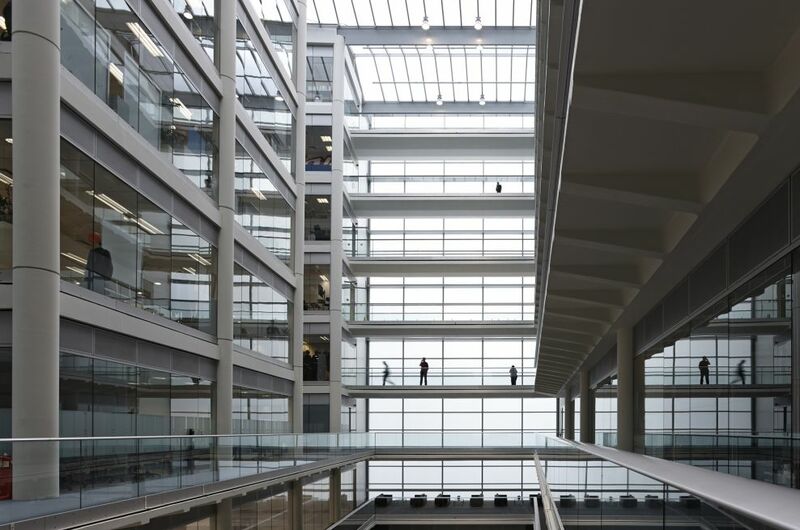 It provides 246,500 sq ft of Grade A offices, arranged around a ten-storey high internal atrium, flooded with natural light.